For our 2nd card in our Technique Class – “Faux Mother of Pearl“, I wanted to show the ladies that you could use this technique to create a male’s card. The Stamp Set – French Foliage is one of my favourite & find myself turning to this set time & time again to create all sorts of projects. 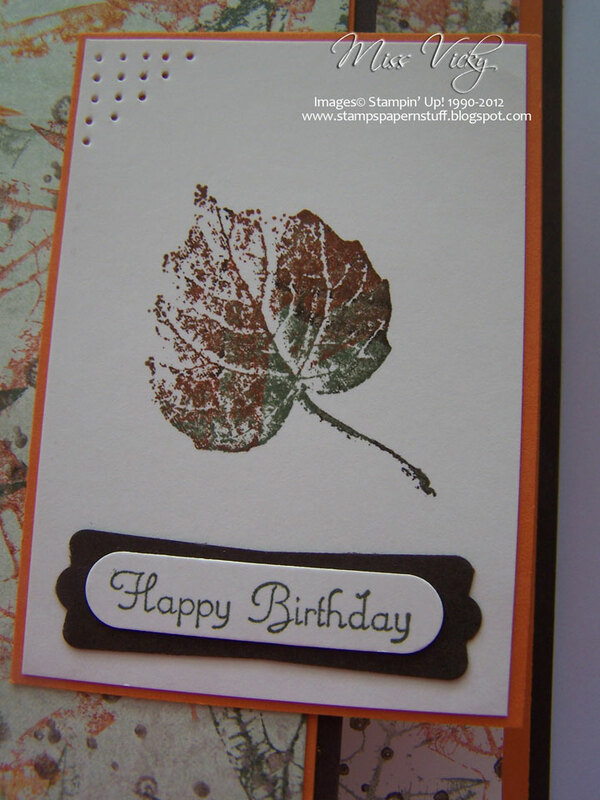 Along with this technique, we did a little sponging using our Brayer & Sponges, as well the Technique – Rock & Roll. What fun!!!!! 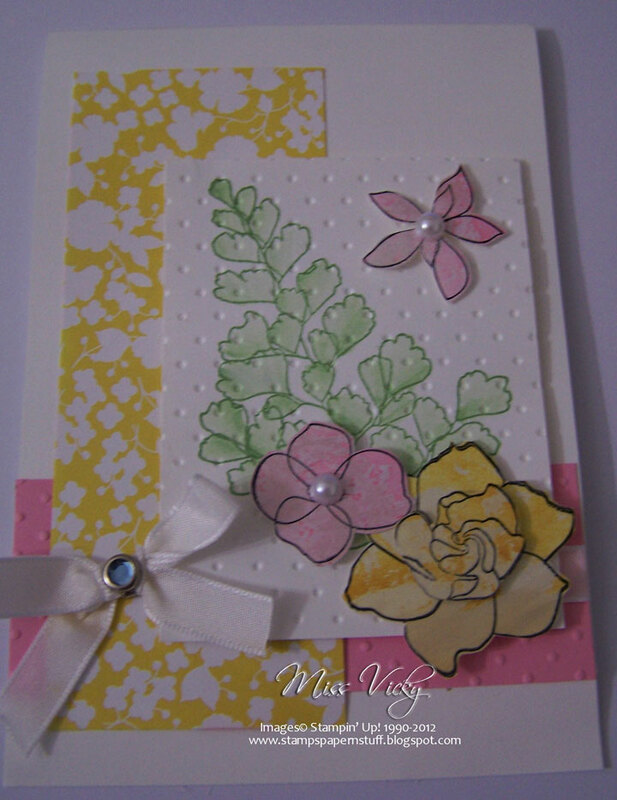 Don’t forget to check back in a coupl eof days & I will show you the card we created at Crafty Creations last Friday arvo. The Technique this week was “Faux Mother of Pearl“. If you have never attempted this technique, do yourself a favour & try it. You will love the end result! I promise you, you will want to do more projects using this fun technique. 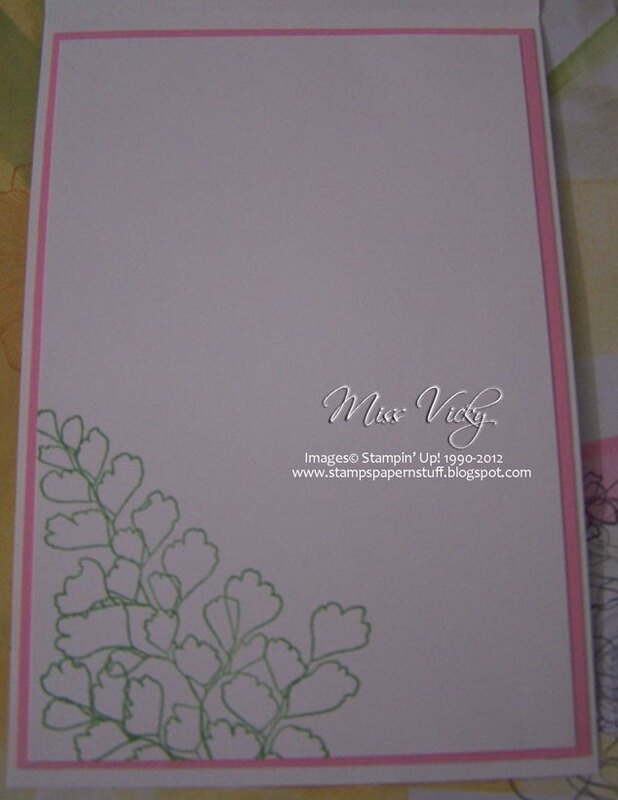 This is one of the cards we created, using the Stamp Set – Greenhouse Green. 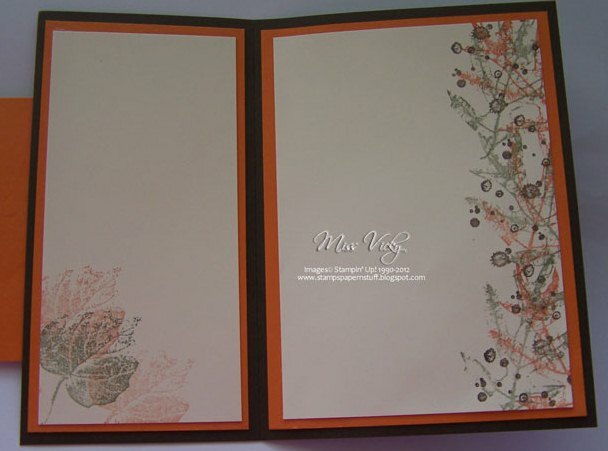 I love this little set, as it is so versatile & easy to use. 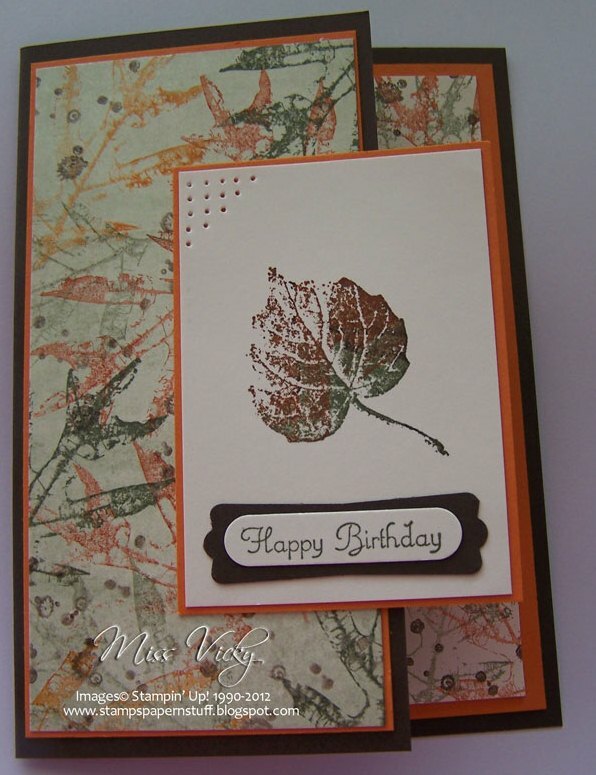 Along with this Technique, we also used our Stampin’ Up Blender Pen, Bigshot, Ribbon & Pearls. Don’t forget to pop back in a couple of days & I will shoe you the 2nd card we created using the same technique.